You can verify whether or not you're signed up by looking for your name here in the member list. 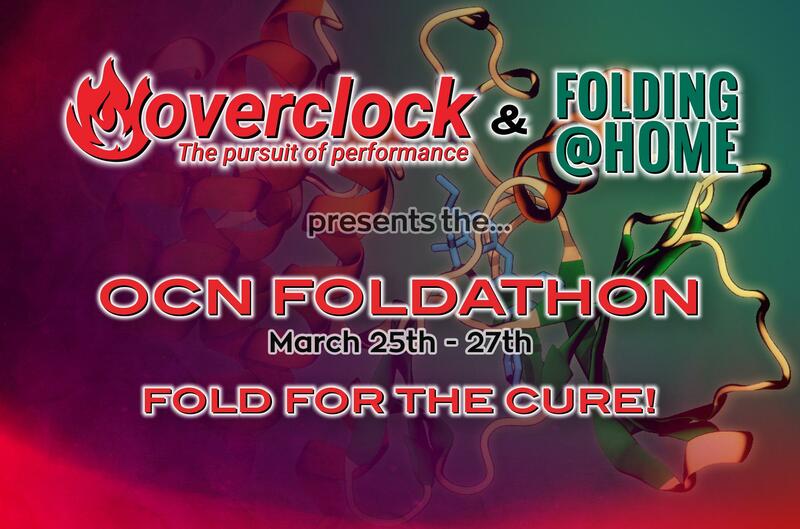 If you don't submit any points during a Foldathon, you will be removed from the list, this is to push for active participation in the event. You are required to re-sign up each month for the prize option, this is to hopefully push a little more active participation in the event as well and prevent prizes going to people who aren't active in the community. If you would like to be notified via Private Message, please send a private message Simmons572 to be added to the notification group. Prizes will be drawn on or around the following Monday after the event. After accepting a prize in any given monthly folding event, members will sit out two events before becoming eligible for prizes again. This is to hopefully spread the kindly donated items amongst the OCN folding community more fairly. Last edited by Simmons572; 04-12-2019 at 06:36 PM. Quote:I'm gonna throw in my 2 cents. Not because I'm an expert but because I have a keyboard. sig broken. too lazy to fix.